I have a confession to make. I’m not the marrying kind. I prefer to date. I date serially and exclusively. 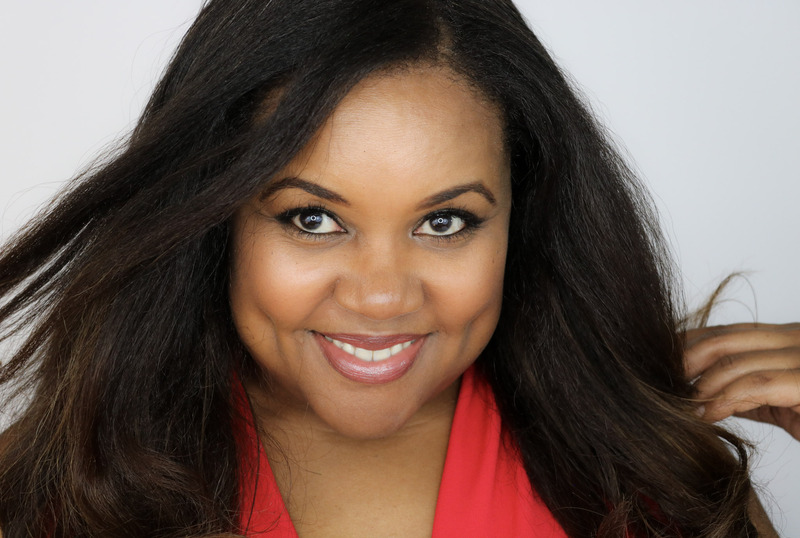 I’m in it for the experience and when I’m done, I move on to the next…experience. Some may call that non-committal but I say, young hearts, run free! 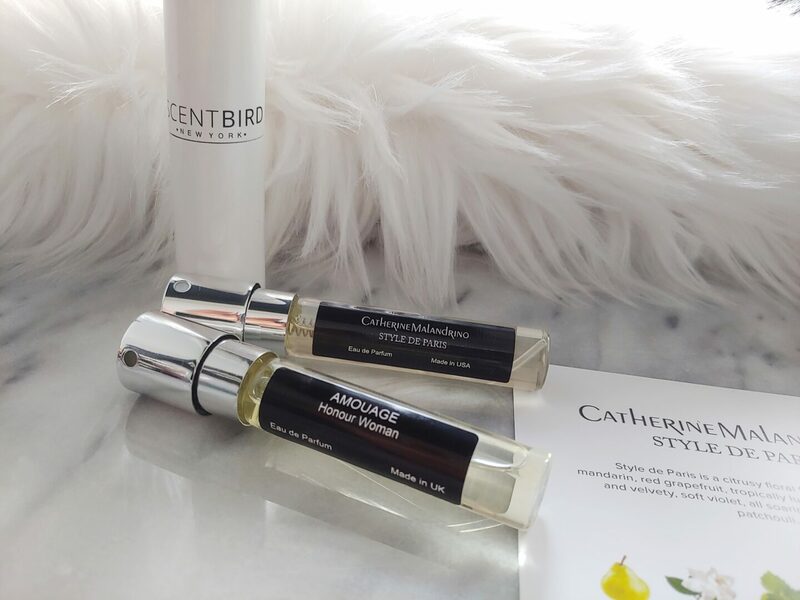 So imagine my elation at the discovery of Scentbird, the monthly perfume subscription service that sends a new deluxe-sized fragrance sample to my door. I get to experience a plethora of new luxury fragrances (and revisit the occasional favorite) without committing to whole bottles. Bottles that would surely languish on my shelf once my love has waned. In truth, I used to buy full bottles of fragrance. If you peruse my beauty shelves now, you’ll see some near-full bottles of fragrances that I bought back in the 90s. (I have a hard time parting with things I’ve invested in.) The last time I bought a full bottle, I was certain that I’d found my great love. After sampling it over and over again, I finally broke down and bought a bottle of Chanel’s Coco Mademoiselle. I felt fancy. I got it home and immediately hated it. I was forced to pass it along to a friend and at that moment vowed to never commit again. My serial dating commenced. The only problem with my non-committal dating ritual was that it was, shall we say, inelegant. I used to troll the aisles at Sephora and get perfume samples in those cheapy 1 ml testers. Of course, there were no labels (unless I kept the plastic bags with scribbled names) and I eventually ended up with a big, fragrant mess. I gave up on dating. Some of the fragrances I’ve received since starting my Scentbird subscription. That is until one evening, as I stood outside a friend’s fundraiser, I was handed samples of a stunning new fragrance: Amouage Reflection Woman. It was love at first whiff. A swoon-worthy, give my whole heart kind of love. But could I risk my fragile heart again? Take another leap of faith? No, I had been burned too many times. I was wary of making another commitment to a provocative full bottle only to be disappointed and disillusioned once I could call it my own. Instead, I savored my samples. Months went by, my samples were running low yet my love for Reflection Woman continued, unabated. Sephora didn’t carry it so I was out of luck there. 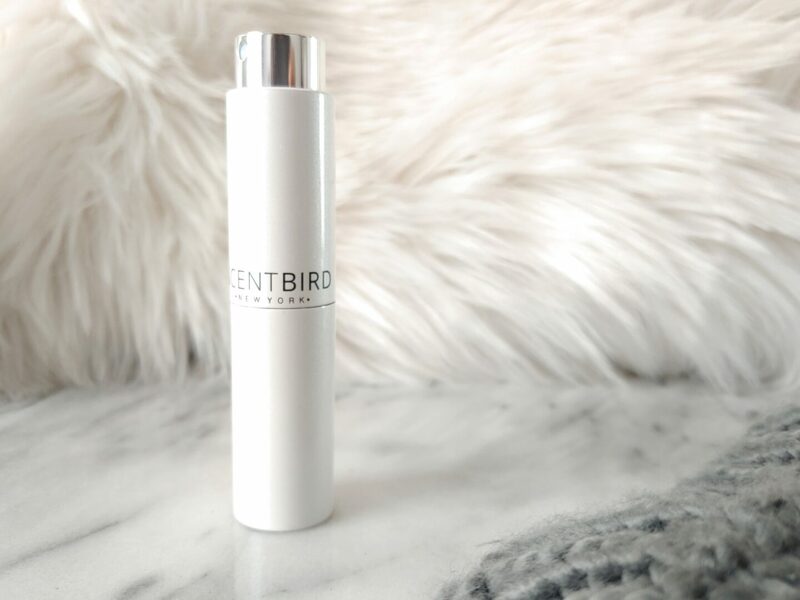 Then, like a phoenix rising from the ashes of my soon-to-be broken and lonely heart, came Scentbird. It promised designer and luxury fragrances in deluxe sample sizes with no commitment. But ever the skeptic, I wasn’t yet completely sold on Scentbird. I thought it might be chock full of fragrances that nobody actually wanted to wear. But then I saw Amouage on its list of brands, and I knew my dating life was about to make a major comeback. 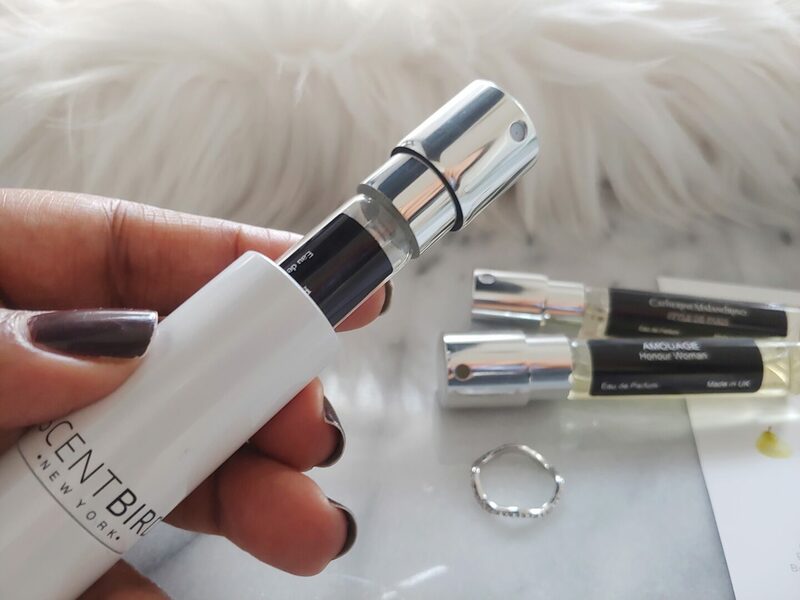 Scentbird perfume vials can be easily interchanged with a simple twist and pull. I quickly signed up for the one-fragrance-at-a-time monthly subscription for the low cost of $14.95. (That’s also the least committed commitment available.) I waited a few days and an 8 ml vial of my beloved Amouage Reflection Woman arrived. Eight whole milliliters! The fragrance was everything I remembered and my flame was quickly reignited. I immediately went to fill in my queue with more of my favorite fragrance only to discover that you can’t choose the same fragrance two months in a row. Drats! Apparently, the purpose of the service is to introduce you to new fragrances so choosing the same one over and over again is prohibited. Okay, I played along and added some other fragrances and then put my favorite in the queue again. Success! Scentbird is a brilliant solution for the non-committal, like me. Want to get in on the fragrance fun? You can choose a plan that includes one product, two products, or three products per month. Then you choose how long of a commitment you can handle. One month at a time, three months, six months, or 12 months. Scentbird subscriptions start at $14.95 per month (one fragrance per month) and top out at $195 per month (three fragrances each month for a six-month commitment). Your first fragrance selection arrives with a travel-friendly fragrance case and a velvet pouch. The case holds the vial snugly and prevents accidental sprays. You can change out the vials as often as you like with a simple twist and pull. It’s ingenious. And commitment free. This is certainly something new! I know just the person to gift this to. She loves perfume but gets bored easily. What a fun idea to try out new scents! I haven’t worn perfume in so long. Any scent I tried would irritate my son’s allergies when he was a baby, and still does most days. This subscription box sounds perfect, though, for those able to wear it and change things up often. It must be a really good fragance and am glad it brought your dating game back to life. So no more heartbreaks. I will try scent bird out. I love perfume and this subscription box sounds perfect. I am definitely going to check this out. This is such a cool subscription box. 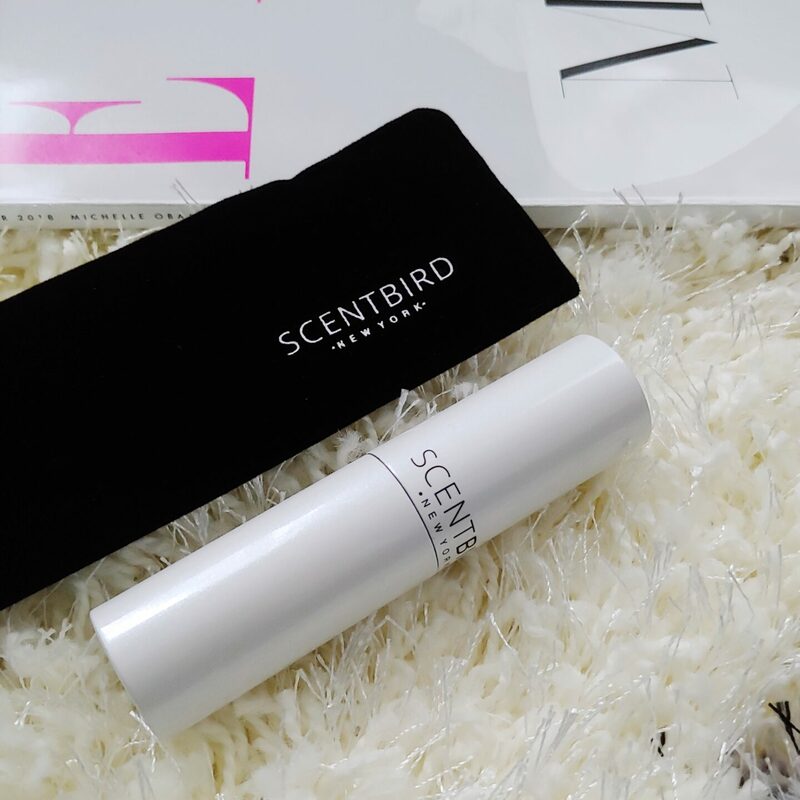 I love to try different fragrances and I would love to try “Scentbird”. I just hope that they deliver their boxes to my part of the world. I really love Scentbird! Every time I have gotten a new one I have loved it! Ooh! What are your favorite fragrances so far? Exactly. It’s perfect for the dabbler.